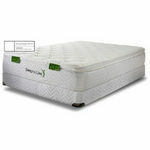 I love this pillow top mattress, would buy again!! Very comfortable to sleep in very soft. You can relax in thid type of pillow mattress the best one I've had. 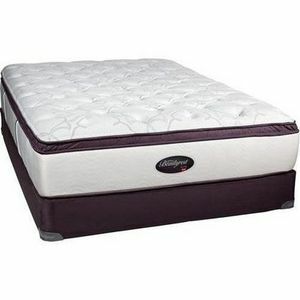 I suffer from hip and back problems and before buying this beautyrest bed i never got a solid nights sleep, i would wake up every couple hours from my hips and back aching. But since I've bought this miracle i have slept like a Bear in hibernation. WORST mattress we've ever had!! We shopped around alot before purchasing this mattress. Our budget was $1000 and this was the one we, unfortunately, selected. 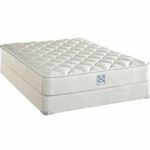 We both suffer back, hip and shoulder pain from this bed and are looking to replace it after only 3.5 years. 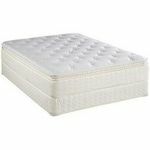 Our grandsons twin bunk bed mattresses cause us no pain so we know it is our mattress. Don't waste your money!!! I am used to the memory foam bed. I have been using that kind of bed for a while. I had the memory foam bed for eight years. I knew it was time for me to get a new bed. I was going to stick to memory foam bed. It has worked for me. I always thought the spring mattresses might be too uncomfortable and move around too much. I thought I would never go back to the regular type of bed. I like to shop and look around for a while before making my final selection on a major purchase like this. I will be having this bed for at least eight years. I need to be sure of my choices before making that kind of commitment. I even decided to look at other beds than the memory foam even though my mind was set on this kind of bed. I heard so much good things about this type of bed from commercials, word of mouth and sales associates. I decided to have an open mind an hear what they say about the possibilities with this bed. I am glad I did. I was given an guarantee just in case I wasn't happy with this bed. I don't plan on using that guarantee. The bed is soft and comfortable. It gives me a good night sleep. It has great support. I have no complaints. I have no pain with this bed. It has a nice firm support. I find myself tossing and turning a lot less as well. I also wake up feeling rested. I am happy with the decision I made after a long consideration. I would recommend this product to anyone.